How is it the middle April and it’s still this cold!? This past week was still in the 30’s! I want to work on my garden so hurry up warm weather! Anways, this week’s dinners have a little bit of everything, from chicken to homemade pasta! Click on the italicized link to bring up the recipe I used! Monday– Beef and cheddar casserole- This is the first time I’m making this dish. It sounds delicious and will be great heated up for lunches later in the week. Tuesday– Breaded chicken cutlets with stuffed artichokes and rice. White rice is another food that can be so BORING! But when cooked with a little bit of chicken stock, it can make a world of difference. Stuffed Artichokes– recipe is for 1 artichoke. First, bang artichoke against counter to open the leaves. Next, drizzle with olive oil. 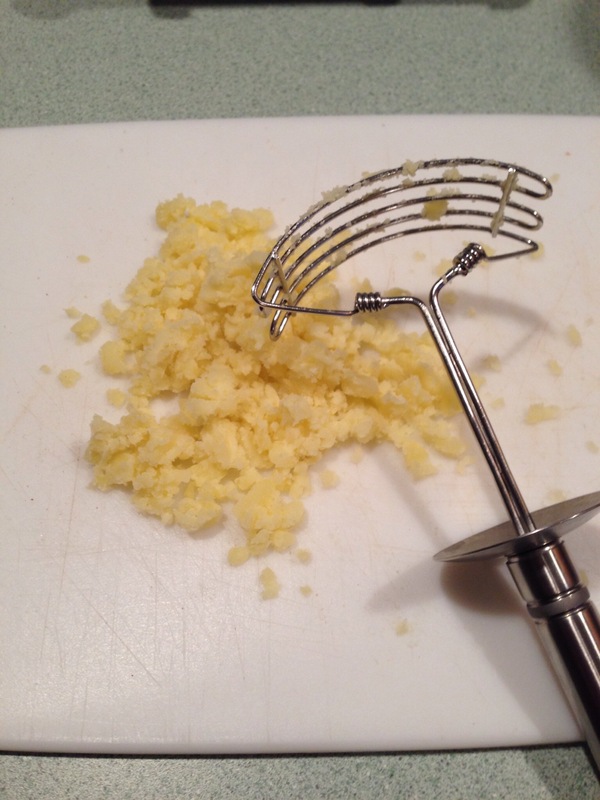 Then, in a small mixing bowl, stir together breadcrumbs, minced garlic, and parsley. Start at the bottom of the artichoke and stuff with breadcrumb mixture about ½ way up the leaf. Once finished, drizzle with olive oil and parmesan cheese. Add 1-1 ½ inches of water to small pot and place artichoke inside. Bring to a boil and then simmer, covered for 1 ½-2 hours. Leaves should be tender when done. Breaded chicken cutlet– Nothing fancy. But its a great go-to receipe and even better to prepare on Sunday and reheat later in the week. If using thicker chicken breasts, you will need to slice it in half the long way and pound until flat. Find three shallow/wide containers and fill one each with flour, egg, and breadcrumbs. Dip chicken piece 1 at a time. First in flour, then egg, then breadcrumbs. Heat olive oil over frying pan and cook 7-8 mins per side over medium-low heat, or until chicken is cooked through. 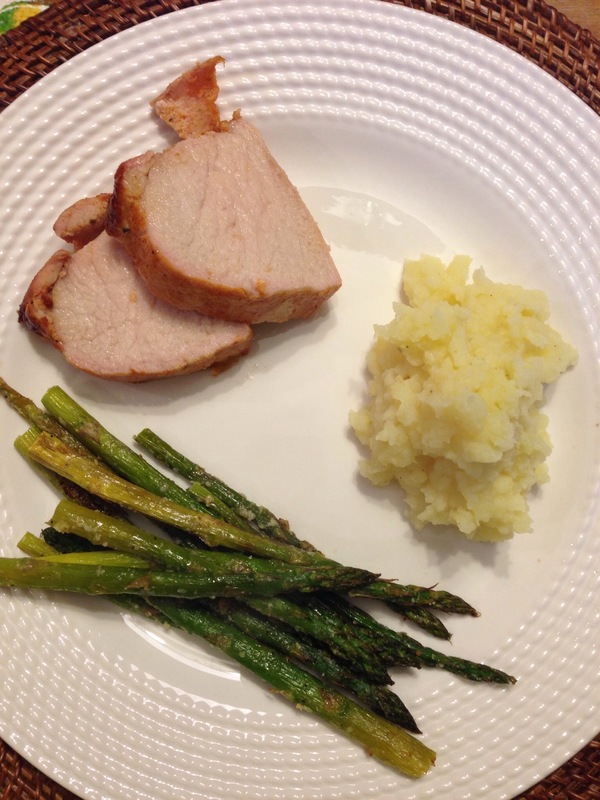 Wednesday– Pork tenderloin with mashed potatos and lemon garlic roasted asparagus – Pork tenderloin is one of my favorite meals! Whenever it is on sale I’ll stock up. I made a pre-seasoned pork tenderloin that has a bbq marinade already on it. For whatever reason, when I cook a pork tenderloin it ALWAYS takes longer than the package directions say. From trial and error, I’ve found the best tempature to cook the pork is 425 degrees, and it usually takes about 45 minutes. Your best bet is to use a meat thermometer and cook until internal tempature reaches 150 degrees. Thursday– Thai veggie quinoa bowl. This vegetarian bowl has great flavor, and the peanuts give it that little extra crunch. Try adding grilled chicken or shrimp if you’re extra hungry. 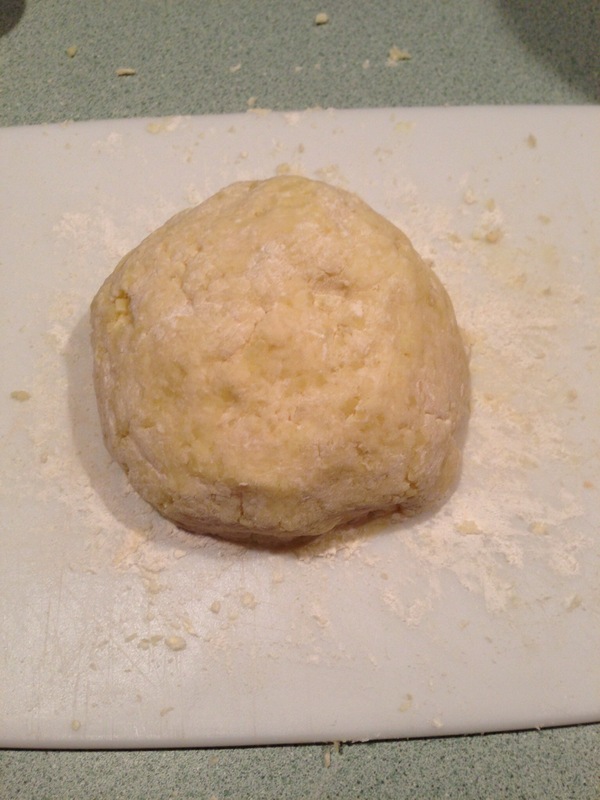 Friday– Home made gnocchi. 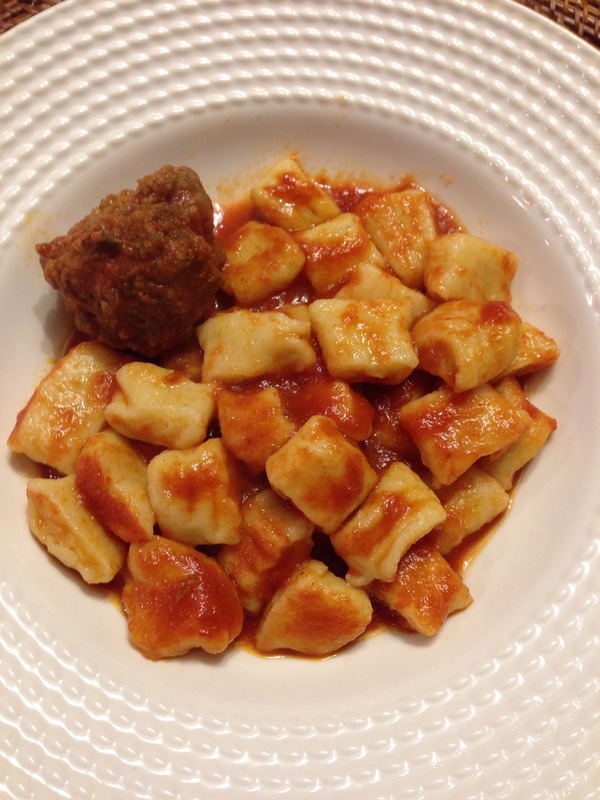 Ever since trying the gnocchi in Italy, I have been wanting to make my own. So, I decided it’s time to open a bottle of red and attempt to make Amalfi Coast inspired gnocchi. More to come later in the week on this dish.